Twisted is a steampunk dungeon crawler where players will skulk through the sewers of an alternative Victorian London in search of the mysterious Engine. The game is still in early stages of development and Demented Games where at Salute to build awareness of the game ready for a Kickstarter project later in the year. 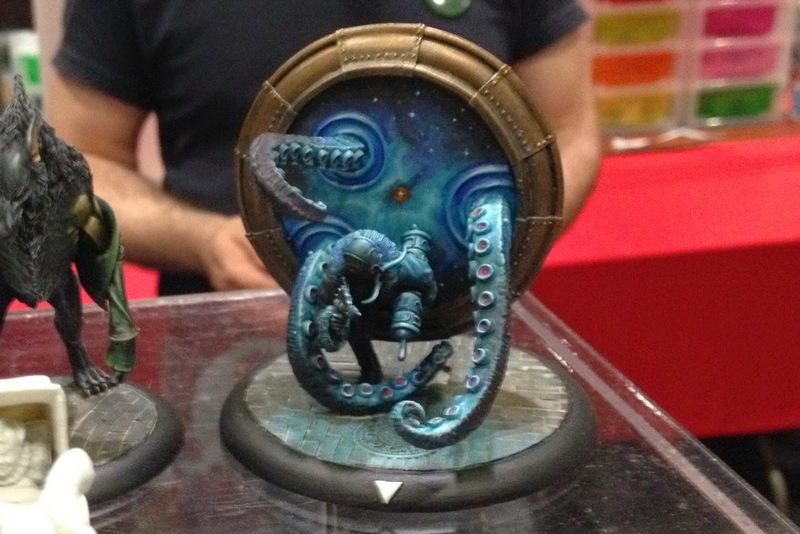 The concept art was all amazing and the handful of miniatures on display all looked impressive, hopefully we’ll see more of this later in the year. My favourite miniature of the show. 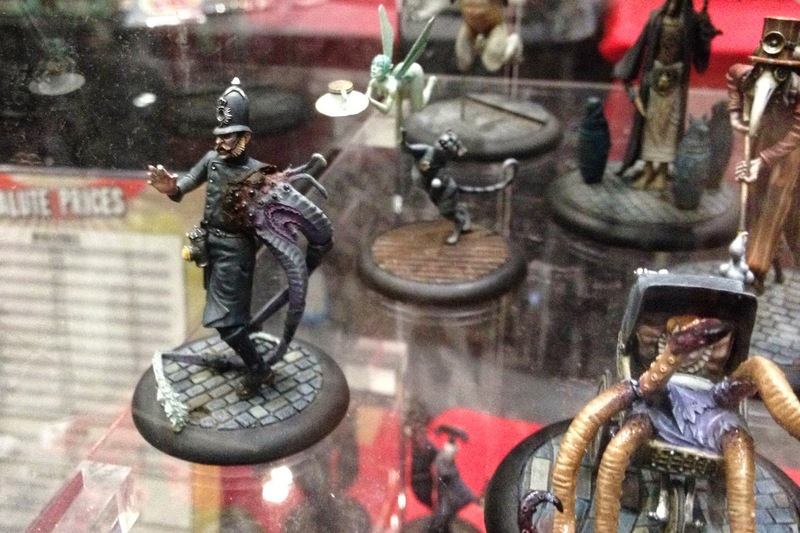 Sticking with an alternate Victorian London we have my favourite miniature of the entire show, in the form of a crazy, gentlemen scientist crossing a dimensional barrier while being chased by a tentacled beast from beyond. Smog, The Thirteenth Hour is a small model count skirmish game set on the streets, and in the buildings, of 19th century London. 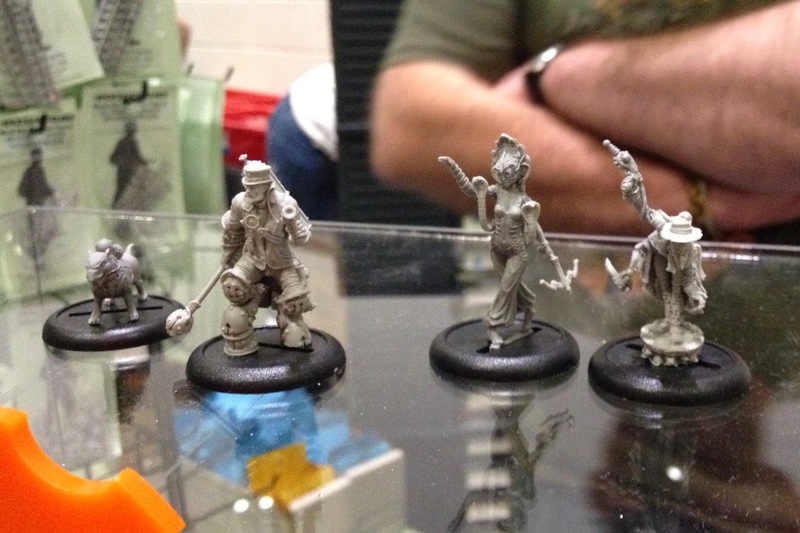 The miniatures in the game are a slightly larger scale than many other games but share some similarity in style to Malifaux. 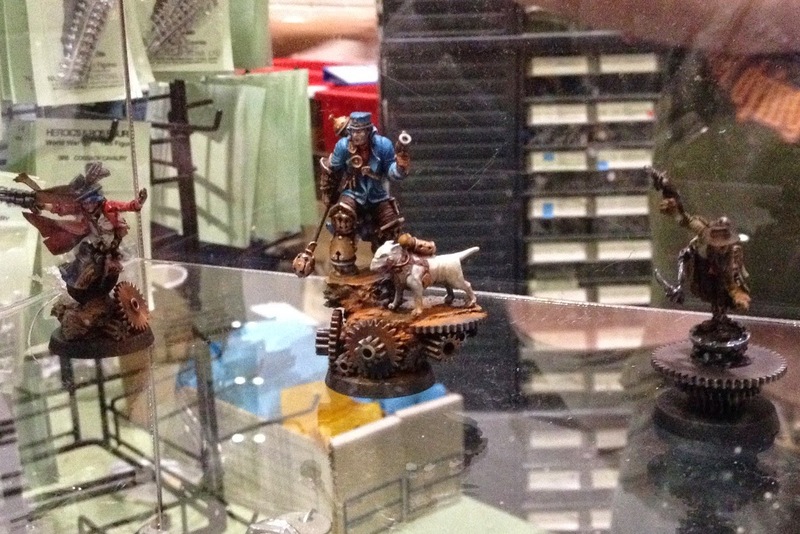 Smart Max were also showing off their range of weird war two Nazi’s and Canadian soldiers (which look cooler than it sounds), and more interestingly a series of large robots for the upcoming Mauser Earth game. Admittedly neither idea is particularly original but all of the sculpts on display at the Smart Max stand where particularly eye catching. The robots from Batteries Not Included get serious. For our next sojourn into the world of miniature skirmish games we travel to a post apocalyptic wasteland via France, in the form of Eden and Escape. Eden is a tabletop skirmish game, Escape, is a board game set in the same universe, using similar rules that also acts as an introduction and starter set to the larger game. Eden’s neat little trick is that every faction starter box contains the complete rules needed to play the game. The game also includes a neat mission mechanic; each faction deck also contains four mission cards unique to your faction, you win if you complete your mission before your opponent theirs. Factions included Predator like beasts and evil clown gangs but the stand out faction in the game was a set of futuristic robotic samurai. 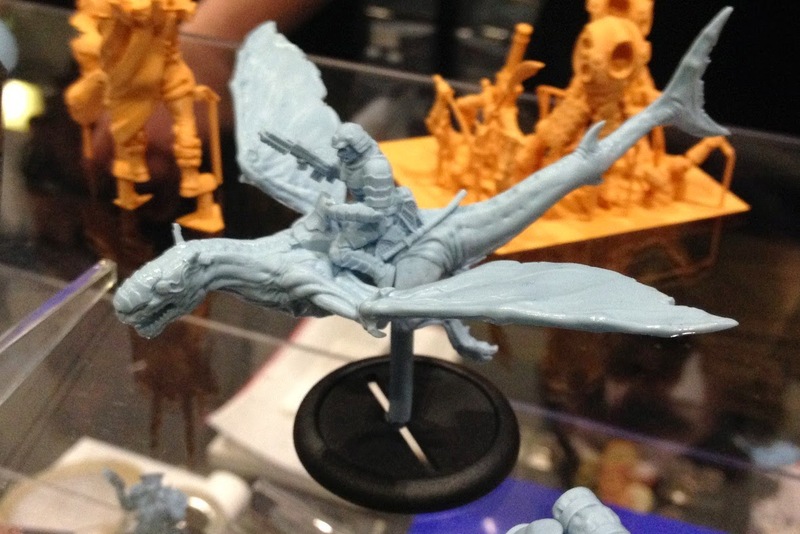 Taban Miniatures were also teasing an upcoming dragon based project; we’ll keep you informed when we know more. If the Royal Marine Commando adverts looked like this I would have signed up. Prodos Games hit the big time earlier in the year with their Aliens vs Predator Kickstarter, and they certainly had a lot of tasty new miniatures for the game on display. But Prodos’ big player is Warzone Resurrection, a 28mm game based on the Mutant Chronicles roleplaying game. Prodos where making a big show of their 3D printing capabilities demonstrating how they can produce extremely detailed miniatures quickly. Chief of the units of display where some British Commandoes with claw weapons (I tried not to use the lightning word) and a samurai on a dragon? No fish? Err… flying thing. Is it a bird? Is it a plane? No, I don't think its either one of those. 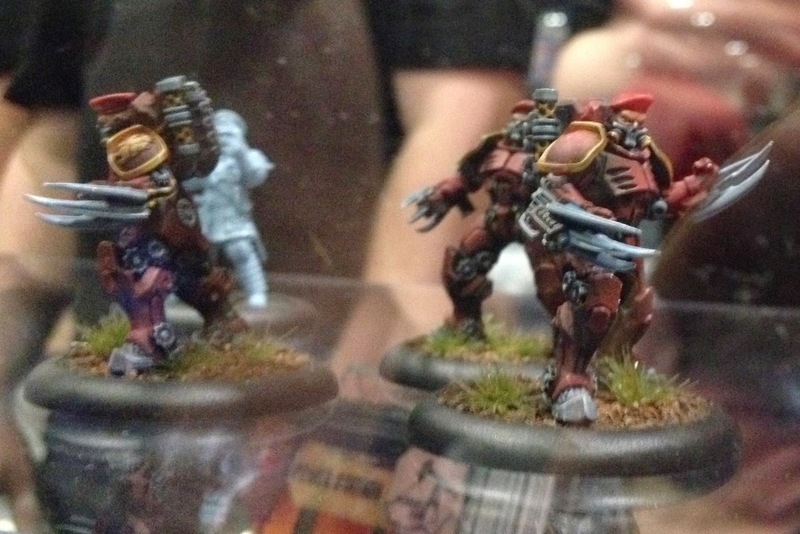 For even more pictures from Salute check out these two galleries.